One of the best free things to do in Sydney is to see a movie at the Art Gallery of NSW. They offer year-round programs of screenings in support of their major exhibitions and they are always impeccably curated. Rare, odd and astonishing classics screen there routinely. The films screen on Wednesdays and Sundays in the comfortable Domain Theatre, down at the bottom of the building, and it’s recommended that you book your seat online, as they often fill up. 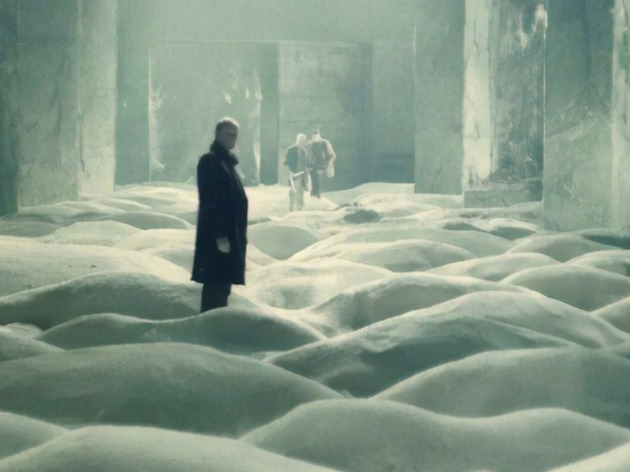 To accompany the Masters of Modern Art from the Hermitage exhibition they are presenting Cosmic Futures, a series of visionary Russian movies including works by the great Andrei Tarkovsky. 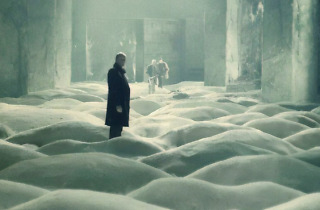 Nobody does existential gloom quite like the Russians, and the movies on offer are some of the most powerful ever made. The films are free, except for the opening film on Sunday November 4: a special screening of the first Soviet sci-fi film, Aelita: Queen of Mars (1924), accompanied by a newly commissioned live score by acclaimed Sydney electronic artist, Lucy Cliché. Tickets are $12-$15. Aelita concerns a lowly Soviet worker who travels to Mars and leads a proletarian revolution; the film influenced the Fritz Lang film Metropolis. Tarkovsky (who died in 1986) is cinema’s metaphysical master, whose mesmerising work spawned an adjective, ‘Tarkovskian’. The gallery is screening three of his greatest films: Stalker (1979), in which a writer, a professor and their guide enter the ‘Forbidden Zone’, a desolate wasteland, to find the mysterious ‘Room’; Solaris (1972), a cerebral sci-fi piece about perplexing events on a space station orbiting a planet covered by a sentient ocean; and The Mirror (1975), a quirky history of 20th-century Russia as told by a dying poet’s fragmented thoughts about three generations of his family. In many ways, Andrey Zvyagintsev is the contemporary heir to Tarkovsky. His 2014 film Leviathan portrays a man crushed by the state and the church when the corrupt local mayor seizes his home, while The Return (2003) is a psychological thriller about a man who takes the adolescent sons he never knew on a tense fishing trip. Larisa Shepitko’s The Ascent (1977) is a highly acclaimed war movie about two Soviet soldiers who are captured by the Nazis and are offered the chance to collaborate with their captors. There’s also a rare chance to see Russian Ark (2002) on the big screen – the celebrated film that consists of one 96-minute steadicam shot and takes the viewers on a journey through the Hermitage Museum in St Petersburg and simultaneously on a dance through Russian history. Read the full program and book tickets by clicking on the Dates and Times tag, above, and don't forget to select the relevant month from the drop-down menu.